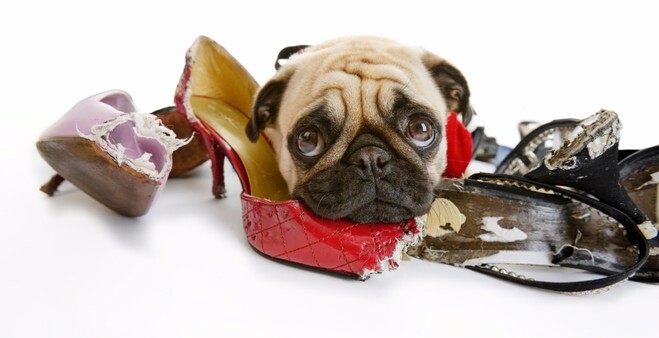 You open the front door and see a shoe on the floor – chewed beyond repair. Yesterday you found the remnants of a $20 bill left on a table in shreds on the rug. You placed a book on a table, safe from that mischievous puppy, but bite marks and shredded pages remain. 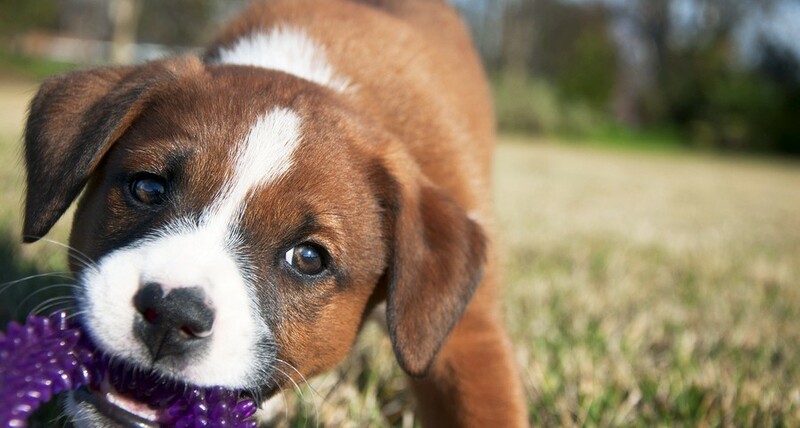 Experts say puppies – as well as grown dogs – do not chew items because of anger or frustration. They typically chew because they are bored, lonely or anxious, especially for a long time. 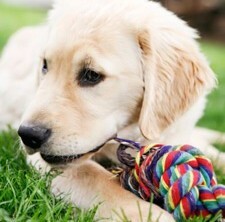 Veterinarians say chewing serves as a type of occupational therapy that relieves your pet’s stress and releases energy. For young dogs, it’s a way to relieve pain that might be caused by incoming teeth. Some dogs become anxious if you arrive home later than usual. To sooth his anxiety he may chew a book on the coffee table or an electric bill that’s been left on a chair. For older dogs, chewing on items is a way to keep jaws strong and teeth clean. Chewing also combats boredom and can relieve mild anxiety or frustration. • As cute as she is, do not trust your puppy to have an unsupervised run of the house. Consider purchasing sterilized marrow bones or toys that can be stuffed with liver treats or cheese. • Dog’s and puppies need den-like enclosures which can be provided in the form of an indoor kennel crate. These crates are effective in housebreaking due to the dog’s natural reluctance to soil its sleeping area- and can also reduce separation anxiety, destructive behaviors like chewing on furniture, and to keep the puppy away from the dangers of some household items like electrical wires and chemicals. It can also serve as a portable indoor dog house that can be placed from room to room or wherever necessary. When traveling by car or plane the kennel can serve as a cabin for your dog. In most hotels that accept dogs a crate may be required to house your dog while he or she is in the room to prevent damages to the furniture and flooring. 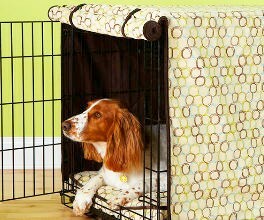 When introduced to the kennel crate early in life dogs can grow to prefer their kennel as a place to rest or relax. A crate, or any other means of confinement, should NEVER be used as a punishment tactic. 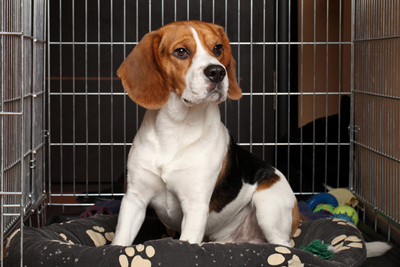 It is recommended that you provide a kennel crate for the duration of your dog’s lifetime. On some crates the door is removable once the need for training is no longer essential. They can be stowed under a table top or be concealed by one, making it both beneficial and unobtrusive. • When home, make time to play with your puppy and her toys. Teach her to “find” toys. Scatter several in different rooms. Say “find your toy” and then help her find the right room. Once she has found the toy praise her and reward her with a treat. • Behavior authorities say most damage takes place just before owners usually arrive home. Your puppy is waiting anxiously for you. Chewing is one way to release energy. • Puppies that have lost their baby teeth suffer pain as their adult teeth come in. This phase usually ends by the age of six months. Try letting your dog chew on ice cubes, dog toys that can be frozen, or frozen wet washcloths to relieve teething. • Chewing is normal for dogs but it’s important to teach him what he can chew on. The American Society for the Protection of Animals suggests using a spray chewing deterrent. Apply a deterrent to the fur on the top of his paw. Hopefully he learns the connection between the taste and the odor of the deterrent to avoid chewing items that smell like it. Spray the deterrent on objects he likes to chew on but you don’t want him to chew. Reapply the deterrent daily on the forbidden objects for several weeks. Hopefully he learns the connection between the taste and the odor of the deterrent to avoid chewing items that smell like it. Spray the deterrent on objects he likes to chew on but you don’t want him to chew. Reapply the deterrent daily on the forbidden objects for several weeks.